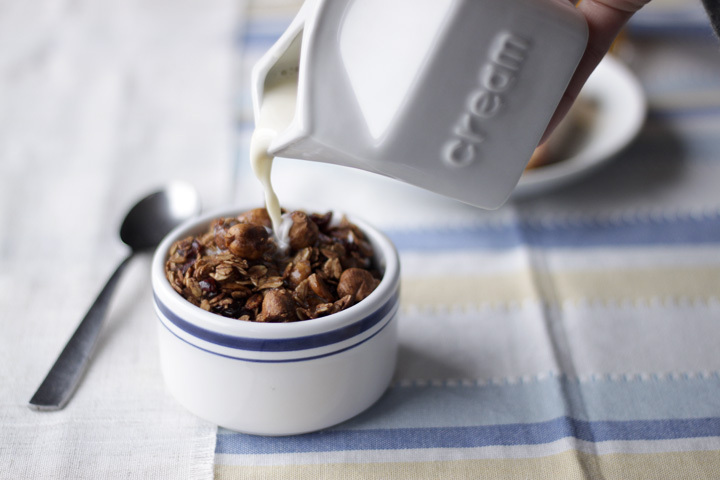 Cocoa Hazelnut Granola — always with butter. Place hazelnuts on baking sheet and roast in oven for 10-12 minutes. Remove from oven let cool. Toss hazelnuts, oats, cocoa, cranberries and salt. Pour in oil and syrup then mix to evenly coat. Pour onto an ungreased baking sheet and spread out evenly. Bake for 25-30 minutes, stirring every 10 minutes. 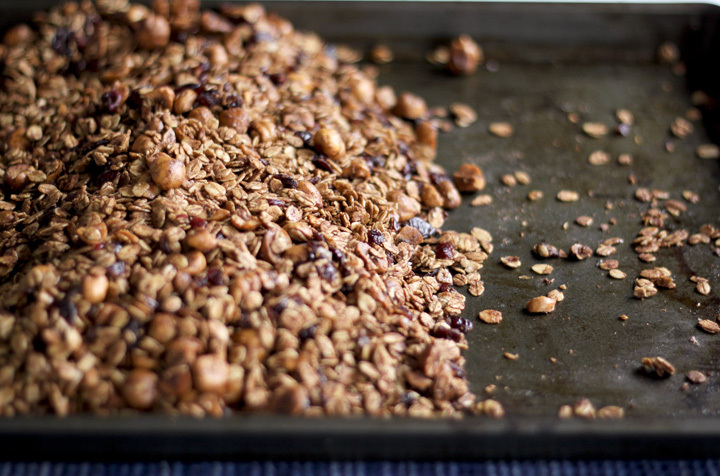 When done, push all the granola to the center of the baking sheet and press together. Let cool completely then break into small pieces.